This resource center is your one-stop hub for everything you need to know about Featured Snippets in search. You’ll learn here how to get Featured Snippets for your content, common myths about how Featured Snippets are earned, and why Featured Snippets can come and go. We’ve also included the latest 2018 data from our ongoing study of how Featured Snippets in Google Search change over time. These studies have been cited by numerous major publications, including The Washington Post, Entrepreneur, Moz, Think with Google, The Next Web, and The Verge. Now let’s expand upon each of these steps in a bit more detail! To expand the number of People Also Ask results shown by Google, click on a few of them, and Google adds more, so this provides you a way to get more examples. Last, but not least, use Answer the Public to see commonly asked question variants on any topic. By the way, Answer the Public is also an invaluable tool for all kinds of content-related research. Use your favorite keyword research tool. SEMRush, Moz, Searchmetrics, Brightedge, and of course, Keyword Planner are all great examples of tools that you can use. Go back to your data on conversations with customers. This is an awesome and often under-utilized source of market intelligence. This is an important step, as Google does rely on the traditional core algos to identify the pages that are eligible for earning featured snippets. It’s not that you shouldn’t improve content on other pages, but those will be dependent on getting the page in the top 10 (and preferably relatively high in the top 10) before a featured snippet is a possibility. It’s best to focus on those pages where featured snippet pay dirt is more likely to follow. Getting the ranking data is fairly straightforward. Take those popular queries and type them into Google and check their rankings if you have to. You can also use any of the above tools (except Keyword Planner) to check rankings data in a more automated way. If you don’t have any page at all that addresses the target query, you can still consider creating content that you think is worthy of a featured snippet. This is something we’ve helped many clients with, and it can be an effective approach. You can still do research that helps you assess your chances of success. Use your favorite Enterprise SEO tool, such as SEM Rush, Searchmetrics, Brightedge, Conductor, or SEO Clarity to see what keywords you currently rank for. Do you rank for any related keywords to the target query? If you’re ranking for many of these related terms, then your chances of ranking with a brand-new page for “how to buy blue widgets” are significantly better. If you don’t rank for any related terms, it may be a sign that Google doesn’t see you as relevant to the topic at all, and you might want to put your energy elsewhere. Further research is likely to reveal that people are interested in chatbot building tools and examples of successful chatbots. As you develop content to seek a featured snippet for this query, make sure to answer all those other questions too, as it makes your page much better for users who are asking the “how to build a chatbot” query. As I outlined above, you can check Google Autocomplete, People Also Ask results, Answer the Public, and other sources that provide this kind of information. Now that you’ve conducted all this research, it’s time to create your content! Answer the core question thoroughly. Extra points for organizing it in a simple bulleted list, or a single paragraph, or a single table to address the answer. Now for the reason we did that supplemental research in step five. Add to your content answers all the closely related questions that users ask. The first and most important reason for this is simply that it will make your content better for users. In turn, it will also increase your chances of earning that coveted featured snippet. I’ve seen many examples where Google parses complicated docs and extracts all the section headers to construct their own summary featured snippet. I bet that they’ll continue to invest in such technology. Their hunger for information is boundless. That said, making information easier to find and extract is always a good thing. It makes it easier for users to find and understand, and it makes it more likely that Google can find it too. Keep it all in one simple bulleted list, paragraph, or table to increase your chances of success. Schema: I can’t recall how many people I’ve seen claim that implementing Schema is critical to earning a featured snippet. Based on the 366,964 featured snippets we found in our 2018 featured snippet study, there is no evidence at all to suggest that Schema helps you get a featured snippet. None. Paragraphs vs. Bullets vs. Tables: Many out there will claim that there is a preferred format for content that can get a featured snippet as well. The problem with these claims is that they’re based on subjective information or on aggregated data across thousands of featured snippets. The truth of the matter is that for some queries, Google prefers bulleted lists. For others, they prefer paragraphs of text. For yet other queries, tables are actually preferred. The ideal format depends on the context. In other words, does the nature of the query suggest that a bulleted list is the best fit for users? If yes, then do that. Or would a table be more valuable to the user? If so, do that. Notice that the paragraph format is the most common format for featured snippets in general. But for a specific market where tables and bulleted lists are the dominant formats, how will you know what’s best for you? Simple: do the research in your specific market to figure that out. Don’t rely on general market data only to find out that the format that works best for users in your market is something else. In absence of research, the right format to use is the one that does the best job of presenting the information to users. Ultimately, that is what Google is angling towards, and you should too. Content Length: The next claim to debunk is that there is a perfect content length. I’ve seen it suggested that 100 words is the max you should use for featured snippet-seeking content. Yes, there is a limit to how many characters Google will show in the SERPs, but this has no bearing on how long your overall piece of content should be. As I’ve outlined above, our data shows that comprehensive content appears to have more success in earning short-form featured snippets. FAQ Pages are Good for Featured Snippets: In our entire study, the presence of FAQ pages generating featured snippets was rare. Think about this logically for a moment, and you’ll quickly understand where FAQ pages make sense: “in and out” questions where follow-up or more detailed information beyond the immediate answer is unlikely to be needed by the user. That’s probably not the need in most queries. It’s also important to be aware that you can get featured snippets and then lose them. That means that your content was good enough for Google to test it, but not good enough to keep it. If that’s the case, go back to the drawing board and work to improve the content. Over time, Google will see the changes, and may decide to test it again. Persistence is key to winning the battle here. Even after you appear to have won a featured snippet for the long term, keep checking it. Google’s testing is ongoing, and your competition may decide to try and take that featured snippet away from you. Defend your hard won turf! The world of featured snippets, and more generally, rich answers, is a complex one. However, as we’ve seen, rich answers offer an excellent opportunity to drive incremental traffic to your site. In the realm of voice interactions they are literally the only game in town. The core thing that Google is using featured snippets to accomplish is to find the one definitive answer to a user’s question. All of Google’s effort in this area, including all of their testing, is designed to help them find that answer. Let’s step back for a moment and look at what’s happening here. Google is looking for that one answer that satisfies the largest possible percentage of users. This involves many components, including the fact that the user’s search query normally only defines a part of their need. For example, if they search on oil filters, they may also want oil. Ultimately then, all of this is about Google finding the best content for users. That means our task is to create the best content. Be relentless in your drive to create better and better content for the visitors to your website—not just the ones that want to buy today, but for the broad mix of people that end up coming there. Regardless of how the concept of featured snippets evolves over time, the value of creating the best possible content will endure. For us, that means a continual and ongoing effort to improve our content, update it, monitor how it does, and come back to it and improve it again. It also means creating new content over time, and making your site the best resource, bar none, in your market space. This is the key lesson behind the world of featured snippets. The sooner you embrace it, and figure out how to invest in it, the better off you’re likely to be! On June 26, 2018, I published the results of a detailed study that measured featured snippet churn. This study was conducted with the assistance of STAT Search Analytics, which is a powerful tool that allows very detailed monitoring of featured snippets. The reason why understanding the level of churn is important is that it shows us how heavily Google is investing in featured snippets. It’s a major strategic investment on their part. Featured Snippets and Knowledge Graph results dip. For the first time, we saw a slight decline in the number of Featured Snippets and Knowledge-graph results across all of search. I think my main problem with Google’s rich answers is the fact that everyday searchers might be giving too much credibility to them. “If Google says so, it must be true”. Wikipedia mentality. Of course, we know very well that the rich answer info is only as good as the source; however, most people won’t bother to double-check the information they see in a rich answer box. Great stuff – really interesting. Presumably, the non-attributed answers are either all direct partnerships (weather, stock tickers, etc. ), custom Google-owned properties (calculators, the new health boxes, etc. ), or the come directly from the traditional Knowledge Graph (FreeBase, WikiData, etc.). It seems that there are essentially two Knowledge Graphs in play right now – one that’s based on Google-owned or licensed sources, and one that’s based on the index. Really great work Eric. This is impressive and gives us a lot to think about. Would love to know impact of schema.org markup implementation on visibility within the answer box. Did you guys take a look at this? Remember when SEOs freaked out when Google testing longer (meta description) snippets? This gives SEOs more targets to shoot for. We have to accept this product, and try to build up our clients to be considered for “rich answer” inclusion. The example of Quikrete above shows that it’s not just something huge brands (like Experian) can win. 19% is way over what I had imagined, the knowledge vault’s influence is continuing to grow in 2015.
i want to know what is the criteria to get my site in google rich answers? what i need to do.? Hi Tanvir – we don’t have the answer to that question yet, but we are studying that now! So what do you see if Google using such wild cards to answer queries in search results. Will there be a day when Google will slowly accumulate all the vital data and will be giving direct answers to user queries? That would be an end to SEO in a way. What do you think? Hi Amit – I think there will always be queries for which Google does not have an immediate answer, well, for another 10 years at least. I’m RTing purely due to the expression on Eric the Viking’s face… (just kidding). I think it’s interesting that people feel that they are competing with the Knowledge Graph as they are competing with a Wikipedia listing. I like the appearance of knowledge-graph items because it’s a strong indicator of informational intent. Google understands the content on your pages, we can create rich snippets—detailed information intended to help users with specific queries. Thanks for another great article post. Great study and helpful data, thanks Eric! Were you able to track any difference between B2B and B2C keywords? It seems that the Knowledge Graph has gone much deeper into B2C and hasn’t quite figured out how to enter many B2B topic areas. I’m curious what your data might show? Eric – Awesome post and really great information. I have a followup to this coming soon that I want to reference your post on because I think this supports the point really well. You’re right! We will get that fixed – thanks for pointing it out. The total is right, but the % needs to be swapped with the “Includes a List” item right above it. there aren’t nearly so many rich answers in germany, but it is discussed as if all answers by google are rich answers. It is typical for Google to test things here in the US first, and then once they feel confident that they have developed something that users truly like, they begin to roll it out globally. That means if you’re in a country that has fewer answer boxes now, you have an advantage: time. You have time now to consider how to make your content attractive for answer boxes in a way that will also incentivize click throughs. My bet would be that within a year you’ll start seeing a lot more answer boxes in Germany. Really interesting study guys. I was wondering if you have any data to share on the percentage of websites that were “double dipping” or getting both an answer box type result and a tradition SERP result for a query? Hi Brian – I think pretty much ALL of them are getting the double dip effect. It’s not uncommon that the rich answer is being pulled from someone that is not in the first position to get the rich answer box. Sweet for them, but not so much for the person that ranks #1.
but very unfair to the writer of the blog. I aggre when someone says one day google will collect all vital data and use for rich search. I cannot wait till Bing takes over Google. They have been doing this for while now and I think overall a better search engine for the people. This is an epic post. Totally new to Rich Answers; your long form content is dizzying and helpful in the same way. I am Google ignorant. I’ll eat it in chunks, and I’ll RT to my 37K followers because I know that they’ll love it. Thanks so much. Ryan, we’re so glad you found this helpful! Check out the link at the bottom of this study to see more of our “dizzying” studies…and thanks for the RT! Thanks for this info, Eric. I would be interested in the URLs of the 5 common SEO questions you answered on your site to understand how you played the keywords across the page. Your solution seems so simple, I’m a bit skeptical, I’ll admit. But this has given me much food for thought! This is very educational. Thank you for the post! Sharing this as well. Really good review… Enjoyed reading it. That’s really details and helpful for people like me. I don’t understand how, as you say, rich answers created from my site will drive traffic to me. It seems to me that if the searcher receives a specific rich answer to their search, they will have no need or desire to proceed any further. Can you explain your thinking a little bit? SeO Curious, if indeed the searcher receives specific (better complete) answer, then yes, they will probably go no further. But we would invite you to go back and study more carefully the case studies from Confluent Forms and Steady Demand presented in the article. There Eric goes into why those examples actually drove traffic to the sites. In brief, if your answer is longer or more complex than Google can show in its answer box, they will cut it short, but provide the link to your site to “see more.” In the case of the Confluent Forms example, while the answer given was quite complete, David Kutcher’s title tag made it clear that his article provided a lot more relevant information, which seems to have been enough to get a significant number of people to click through. I must say this study is very comprehensive and it must have took a long time to get those data points that you presented in bar charts. It really provide a lot of insights. We have been trying to figure out a way to get more into that grey zone. Even last time when we discussed, we couldn’t find a perfect formula or a way. But, this is for sure raising the bar for SEO’s and also killing the search results area for organic searches. Also, DA is one area where data is still not so clear as their is very thin line between 40-60. Let’s see how all these things turn up. Looking forward to continued awesome analysis from your end. Actually, Google’s Gary Illyes told us that internally, Google calls these “featured snippets” when they are drawn from a third party site. We should expand upon this a bit. Featured Snippets are what Google calls it when a third party source is responsible for the data used in the result. Then there are the results that are often (but not always) extracted from Schema. These are enhanced presentations of normal SERP results. I use the term “Rich Answers” to refer to all three, which is what this study covered. Is it to early to know whether or not you saw a boost in your traffic when you got your answer into the featured snippett? Would love to see the answer to that question. Hi Chad – In our case, it was a brand new page, so I don’t really know if it would have been a boost. First of all, i really enjoyed this post, thanks for the great info! Just one thing…how do i create this amazing rich answer structure for my KW? Josh, the post actually gives as much information about that as we currently know. We don’t know all the factors Google uses to decide when to show a rich answer box and which site to feature in it, but the tips Eric gives in this post will improve your chances. Great, just another good reason to start creating quality content on your site. There’s no way that Bing will ever take over Google in market share! Have you ever looked at search results from most Bing searches? Impressive post about Rich Answers., in my opinion, one of the trickiest Google’s features, but worth to spent some time on it. One of the things that I discovered yesterday that the sites which are on page one rank for the keyword may not be the best or accurate answer to the search term. I was surprised to find out that non of page one articles was the correct answer. Google is giving people attractive post layouts but it might be not the correct answer and so the advice given on these pages are not the right answer to the problem. In fact non of their page one rank had the correct advice. So it is clear that the quality of the content is suffering. All the pages were from known publications, most were magazines, but non of them offered the correct answer. Lilian, when we browsed through the thousands of examples of direct answers we culled for our study, we also saw many that had incorrect, irrelevant, or incomplete answers. Eric even shows some examples in this post. Google reminds us that direct answers and featured snippets is still very much in beta. They are training their algorithm to get better at providing accurate answers. But in the meantime, we can expect to see some poor results some of the time. Information above are really helpful. The volume of the rich answers is increasing day by day and the percentage of clicks for the first places in SERPs are going down. It is obvious that if you succed to be in the rich answers you are blessed! The genius of all this is that Google can effectively present detailed content and answers provided by others as their own. It’s plagiarism taken to a new level. Michael, that’s certainly one way to see it. At least they always provide attribution and a link to the original content. As we’ve shown, those links have actually turned out to be a huge boon in site traffic, the opposite of what many of us feared when rich answers first appeared. I would agree. The upside for authors is that they do get credit/a mention and some residual traffic. However, I would be very interested to see how many people see/read the Rich Answer and then do not go to the site for further information. While that might be hard to measure, it would provide some information on just how frequently Google is essentially lifting content from sites. I don’t mean to sound too critical or cynical, but it’s one thing for Google to provide a search system for humanity’s largest library (i.e. the Internet), but it’s another thing for Google to cut pieces of the books and paste them nearly as their own in an abbreviated magazine (i.e. their SERPs). The result is fascinating and its look like Google is trying to make SEO more difficult than ever. My question is how could my content make it in Google rich search? Do schema markup play role in it. Fantastic article, Eric Enge. Nice breakdown of terminology around this topic. I welcome viewing a source if or when Google provides a label for each. Google unfortunatley has way too much power . They have been doing this for while now i think this is only going to increase there stranglehold on search. Can you provide any of your finding on how many of Googles searches are generating rich answers since you last posted? The data was pulled in January 2016, and (drum roll please), they made it to just over 40%! Nice article Eric about google snippets research . That’s awesome I’ve learned a lot from this article about google rich answer. Rich Snippet is an area that I always want to get into, but never got chance. Your article gives me more reason to invest my time in this. Thank you! Google’s featured snippets may be give good experience to users but for website owners they’re a big problem. It is killing traffic to your site. I am not a fan of it. Google should also think about the site owners. Actually, Tauseef, in many cases featured snippets can and do drive tremendous traffic to sites, because they don’t always answer the question completely. Hey thank you for sharing this great post. Yah google is too powerful and genius. It will take over the whole industry in next few years. But point is that how can we implement feature rich snippet or enhance snippet for our website? Is there schema.org into consideration? See our Definitive Guide to Rich Answers in Search for suggestions about how to make your content more qualified to get a featured snippet (NOTE: even doing those things does not guarantee you will get one). And no, Google has told us that schema markup is not taken into account for featured snippets. I’ve also notices that Siri shows more rich cards and can has a higher degree of actual answers based on rich cards, instead of just showing search results. Darel, there’s no doubt that both the amount of queries Google answers directly and the ways it provides those answers (including rich cards) has continued to grow since we published this study. Be watching later this year for our major update to this study! “Enhanced Snippets” do have a specific term from Google : Structured Snippets (only mentioned once in their Research Blog some 2 years ago, and confused with the AdWords functionnality). Quiet relevant article. Schema is coming in main stream with support of search engine giants. Excellent posts. It appears rich answers is being referred to thought leadership content that takes the effort to elaborate using various media. Thank you so much for the effort. Can you answer this? I have a table in my website containing check and cross marks. Currently, they are images. So, what I need to ask is, which is better – images of checkmarks and crosses or html code for these signs? Which is easily identified and displayed as rich answer? That’s a great question. As far as I’ve seen, Rich Answers don’t pick up images from a site, just text, so your images would likely be ignored if your table was picked up for a Featured Snippet. Thanks for this deep research post to share with us. Google is a big deal. they always improving & modifies their system to make it more user-friendly. What is the difference between “rich answers” and “featured snippets” ? Featured snippets are direct answers from Google that come WITH attribution. For example, if you ask “how to reset an iphone”. Knowledge panels and featured snippets are both considered “rich answers”. Is Business box is a part of the rich answers? No. That is known as a Knowledge Panel and is drawn from Google’s own Knowledge Graph database. It is not considered a rich answer because it does not appear in the regular search results column. when we update a post is it better to change the post date to current date or stay with the initial date of publication of post? I typically stay with the initial publication date. When Google recrawls the page they will see that it’s been updated, they don’t need the publication date to tell them that. I think Direct Answer and Featured Snippet are different. Read our post. We don’t think they are identical either. One might say a Featured Snippet is a type of Direct Answer. How do lists fit in here? They’re not the regular snippets, but they’re also not listed as a subset of the 61 snippets. Any advice on how to get them? Lists can appear in Featured Snippets (usually as bullet point or numbered “step-by-step” lists). See our Guide to Rich Answers in Search. Mark, had any of your cases used schema question with accepted answer and suggested answer attributes? That’s not something we tested for this study. Let’s say i have a blog post covers a topic. But for the similar topic i see there is FS of my competitor site shown in the search result. If i upgrade my content can i replace the one already shown in search result? What % of chance i have for this to happen? It is possible to replace them. Key thing is to try and provide a better answer to the question than the competitor did. Study what content of theirs is showing up, and if you can improve upon it. Sadly, nothing is guaranteed here! Best if you’re trying to generate featured snippets for 10 or more pages by optimizing them and realizing that you may only win on a couple. Or, you may even need to try many times to succeed. I don’t mind seeing an existing FS in place on a search; reverse engineering is a lot simpler have something tangible to replicate and improve. @Matt LaClear Thanks for your info. Can you write a brief note about the reverse engineering process? It would be much clear for everyone. Let’s say i have FS shown in Google and for some reason my competitor link started showing. I upgraded the content now, how long would Google require to recognise the content and decide whether to show FS or not? Just wow factor..! Nicely Written Post.. The way you have stated everything above is quite awesome. Keep blogging like this.!! I may have missed something, but can you simply create a longer meta description to achieve the three lines in the regular snippet? Or are you referring to instances where Google uses sources other than your meta description tag to populate the regular snippet? Nope. Google does not appear to generate featured snippets from the meta description. They need to see it in the user visible content on the web page. Google only pulls the featured snippet from the content of the page, so you have to edit page content. Really worth to read post. Google SERPs have varied form of results for a single query. Featured snippet, knowledge box,knowledge panel, people also ask, articles, maps and many more. The days of shallow writing and easy ranking have gone. More efforts we need to put to create a well designed and researched post that would be well worth for the reader . This post will help us to plan our strategies to get better results. Thank you for the post mate. Really great stuff here. Probably missing something obvious, though…how do you identify instances where you have regular snippets at 3 or more lines? Hi Ryan – look at your regular search result and see if the description snippet is 3 or more lines. That’s all you need to do! Very interesting piece of information. Thanks for sharing ! On several of my sites, I’ve seen snippets appear and disapear over time without really understanding the reasons of that. I’ll watch this more closely now. One question though : I always tend to opt for short meta descriptions. I guess this prevent from getting 3-lines search results (am I right ?). If that’s the case should I go for longer meta ? 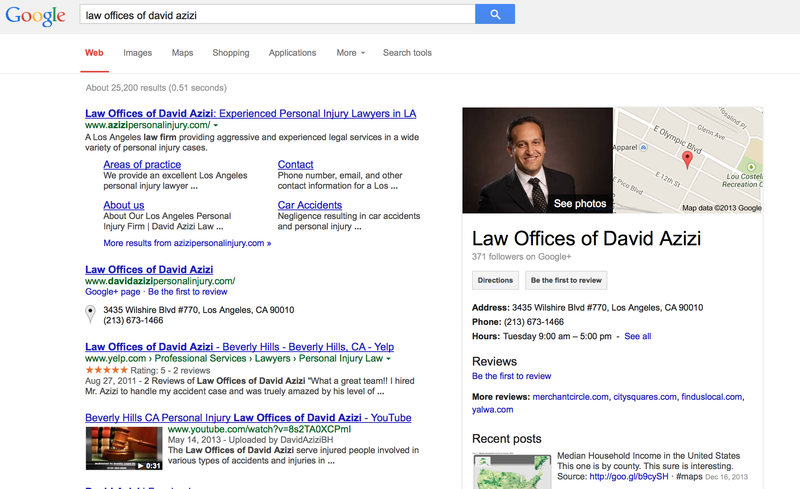 And if not, did you notice an alternative way of identifying candidates for rich snippets ? Google only pulls featured snippets from visible page content, so not the meta description. Good research.. going well! But my doubt is? without the featured snippet the answer box will work or not? Because I have seen for some knowledge based questions Google shows the answer box with unoptimized sites. Raj, I’ll step in as Eric is currently traveling. A little difficult to understand what you’re asking, but I think it’s this (correct me if I’m wrong, please): Is it possible for a page to be in a featured snippet without the site owner having done any optimization for featured snippets. The optimization steps Eric gave in this post are not meant to be the only way one can earn a Featured Snippet. Rather, they are simply meant to increase one’s chances. Does the placement of the table matter? We notice that when the table is bottom of the page content, less chance of it being featured as snippet. Is there any thumb rule for table placement? I’ve actually seen many cases where content that was lower down on a page, or that even required a click to expose on the page, shows up for a featured snippet. How did you determine that it was a factor? I’ve not seen any real evidence of that. Maybe I missed it, but does schema markup have anything to do with showing as a rich answer? Must I use any form of schema to be included as a rich answer? Amit, it’s unlikely that schema is a major factor for featured snippets. Research done by Matthew Barby showed that over 80% of the featured snippet results he looked at had no schema markup, and Google’s Gary Illyes has stated that schema has nothing to do with it. However, “rich answers” covers a broad spectrum of Google results, and some rich search features, such as reviews and recipes for example, may be boosted by proper schema markup. Piggy backing on Mark’s answer here … While schema can influence reviews, recipe information, and things like that, we did not consider those as rich answers in the context of our study. And, for clarity, there is no evidence at all that schema has any impact on getting a featured snippet. So much so, in fact, that I’m willing to say that Schema will not help you get a featured snippet. Period. Currently not showing a featured snippet for me, but I went and looked at the page. Not what I’d think of as a good candidate for getting a featured snippet, but it shows that Google will test almost anything! Just noting that here in the US I do get the featured snippet from the Wordstream page. It is just the one sentence definition, which is all the page contains. Looks like this post could be misleading. i’d re-check this as it would seem that you have put the carriage before the horses. FIRST, Google picks up the featured snippet content for the web-page THEN changes the meta description accordingly and not the other way around. Go back to your SERP for your example and clickthrough to actually see the meta description provided by the web page…it’s different. Hi Eyal – actually, the meta description is not used for the featured snippet. It’s the output of the regular snippet generation algorithm that Google uses (which may in some cases use the meta description) that is used for the featured snippet. That’s what we believe we’re seeing. That’s the key point. Google regularly uses for regular snippets things it pulls off the pages, which are not necessarily from the meta description (regardless of whether a featured snippet is involved or not). So, sorry but not sure I follow. What are the findings of your research? Awesome resource for getting featured snippets. I have a question, though. What strategies would you have to follow to hijack a competitor’s featured snippet or it is something next to impossible. I see a few featured snippets that lead to authority blogs in the niche, but the article quality is significantly lower than ours, still we find it difficult to replace. Hi Swadhin – If you’re talking about a situation where a competitor has a featured snippet, and you want to displace it with one of your own, that is conceptually not actually that hard to do. You just need to create the right content that Google will think of as better for the featured snippet. However, note that I said “conceptually not actually that hard”. The execution of creating better content might be quite difficult, but it’s basically what you need to do, and the key is creating the “right content that Google will think of as better”, and Google’ judgement of what’s better may not be the same as yours. Your study is very interesting, at least for the trends. A recent study done by Ahrefs about Featured Snippets gives a lower number of requests in which Featured Snippets appear (still a steady 12%), and it seems their sample is bigger. This is impressive and gives us a lot to think about. Would love to know impact of schema.org markup implementation on visibility within the answer box. There is no discernable impact of Schema.org on your chances of getting a featured snippet. Guess we should keep make searches like that from time to time and gather sufficient data to calculate and analyze the method and time Google actually needs to improve the rich answer results. I really Appreciate your content and I will also look forward to do a little bit of research myself regarding this topic. Most of the study that was done and referred in the article worked for us. But what we are seeing here in India are daily fluctuations, is it because of the CTR – what would be the reason that we are seeing constant fluctuations in the ABs. The reason for the fluctuations is that Google is constantly testing and changing things. If you go back to the article you’ll see that this is something that we have to expect that they will do. As I note in the article, getting a featured snippet is the easy part, and the hard part is keeping them. That’s where you have to go back and keep refining and improving the content to see what it will take to be able to keep them. The only drawback of featured snippets are that they sometimes provide answers for specific queries on results page itself, and as a result very few people would click and visit the website for the answer, which would then lead to the loss of organic traffic. That’s certainly true when it occurs. But the majority of featured snippets we’ve seen that come from in-depth content are incomplete in some way, leading to users clicking through anyway to get the complete answer. The FS only shows so many characters. Also, in many cases though the answer may be complete, the user wants to learn more, and the linked site naturally is where they will go first. Your article has great insight as well,well-researched data on Google Rich Answer Box. But it’s a bit old. If you guys can make an update with recent data, that will be a huge help to me as well to rest of the online community. Thanks for sharing the latest article. Very nice blog sir about digital marketing. Also this blog have very nice artical easy to understand and readable content of this post thanks for the information sir . I hope this website help me on the future uses. The results will depend very much on the types of queries included in a study. Our query set is heavily “informational” which are the most likely queries to bring up a featured snippet. Thanks for this amazing post, Stone temple, Generally how long does it take rich snippets to show on google if a website is new? The determining factor is how often Google is crawling your site. For many sites, that’s not particularly fast, so it can take a while (months). But, if you do some really good PR and get some great links and people are talking about you online, it can happen much faster. That what I always keep saying concentrate on quality content for ranking your website. Not sure if your tweet link is turned around though. Wasn’t sure if there was a mix up maybe? Either way, LOVE the research and would be curious to see if voice search results pull a different mix of knowledge graph vs featured snippets. Sure, but if you manage to keep a FS for a long time, you know you’re doing something right! Tip: To hold Featured Snippet placement first step is 100% clean HTML. No errors. No warnings. If you’re having problems with Snippet thrash/volatility, fix this first. Then fix hosting problems like site slowness or glitchiness (where random errors are returned for some pages). Basics first. This was so interesting! I have had a FS forever and just recently lost it on both mobile and desktop — trying to analyze that now, but this churn differential was not something I was aware of at all. Thank you for sharing this – it was eye opening! That’s certainly true when it occurs. But the majority of featured snippets we’ve seen that come from in-depth content are incomplete in some way, leading to users clicking through anyway to get the complete answer. Which is why they turned out to be a greater opportunity than anyone thought at first. When they first appeared, we all thought they would only steal traffic from our sites, but the opposite has proven to be true. Snippets are amazing features of Google. To show blog in snippets is very difficult because if a post in optimized using the table with proper numbering then I won’t work I think. Why we see daily fluctuations in searches and why it’s hard to keep them. Would you please tell me where I can find an article about rich snippets? Search both “rich snippets” and “featured snippets” on our site and you’ll find plenty! This is a really fantastic article! Perfect ratio of info-graphics to text; so easy to understand. Keep up the great work! Hi Guys! Thanks for the great read! Looking at your “Mobile FS vs KG by day” would it be accurate to say that after searching the same keywords, between 12 and 24 days, Google considers this search from your IP a repetitive occurrence and limits your Featured Snippet and Knowledge Graph appearances because your daily search for the same keyword is telling it you haven’t yet found what you are looking for? Also, your charts for Min/Max value of KG and FS say “Minimun” instead of “Minimum”. Thanks! >Based on the 366,964 featured snippets we found in our 2018 featured snippet study, there is no evidence at all to suggest that Schema helps you get a featured snippet. None. My whole life is a lie! I thought this was the case the entire time. Are you really sure this is the case though? I mean, how does Google know what text/images to pull for the featured snippet without Schema? It determines it algorithmically somehow? Hi Sam – yes, it’s done algorithmically. Very few of the featured snippets we saw in our study were implemented in Schema. In the longer term though, it may be that it will become more important, but it’s definitely not the case today. That was an awesome article. The complete guide helped me learn more new things about featured snippet. I believe that better-featured snippets in the SERP could help attract more web visitors due to the increased CTR. Better the visibility on the SERP better the CTR. Provide more insightful articles like this on your blog in the upcoming days. Wow! I have been trying to get my site featured in Snippet. Thanks for this amazing tips. I am off to get this done. Thought I knew more about featured Snippets but this post has made me look like a newbie. I need to apply your method are soon as possible. This is one of my advantage over my competitors. It’s a nice in-depth article about rich snippets. I believe that Search engines typically require schema.org markup in order to make a web page eligible for rich snippets. But I see that it’s a myth as you mentioned in this article. Hi Ariful – if you look at the article you commented on, there is a process outlined within it.